In the 1950’s when I was born, I came to understand Islam through the prism of Palestinian struggle. The only role model for us was the “fida’i” or “fedayeen” (corrupt plural). In Arabic, fida’i was one who “sacrificed himself for another”. In a way, Sidney Carton, in A Tale of Two Cities by Dickens, willingly went to his death in the place of another person – by any standard a “fida’i” in the French Revolution. The fida’i sacrificed his life in a military operation to liberate Palestine. For us, Christian or Muslim, he was bravery incarnate. He would enter battle with the evil Zionists never knowing if he would return. He did not fear torture, his body nothing more than an ordinary vessel in the service of a Holy Mother, Palestine herself. He was depicted in posters as one wrapped in the regal colors of his kuffiyyeh – a saint delivering the tip of his lance into the body a serpent writhing under his steed. He was Khodr, St. George. Professor Juan Cole of my alma mater, the University of Michigan, holds the Richard P. Mitchell Chair for Middle Eastern History. I knew Dr. Mitchell very well; I hope the seat does not communicate Prof. Mitchell’s somewhat self-destructive preferences. The Palestinian experience of the Seventies and Eighties showcased a popular predilection for secularism, Pan-Arabism and moderate Islam. Some of the most visible leaders were Christians like Dr. George Habash, Dr. Wadi Haddad, Nayef Hawatmeh and Kamal Nasser. Fatah was known as a secular group with Yasser Arafat at its head who was often suspected of having Muslim Brotherhood sympathies although that never actually appeared in my recollection. Arafat cultivated excellent relations with Christians and could boast of their presence in the PLO organization. One was my mother’s cousin, Alfred Toubassi. 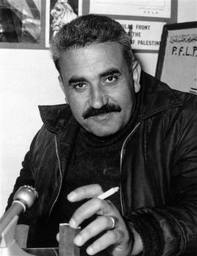 Your editor was far too radical for Fatah and gravitated to the Popular Front for the Liberation of Palestine. In 1968, I got on a plane and traveled to Amman, Jordan where my paternal aunt lived with her Palestinian husband, and hooked up, literally, with Dr. George Habash’s organization. I was there at the time of the PFLP split that created the PDFLP and the PFLP-GC. I saw fighters coming into our office in Jabal Webdeh and knew Dr. Habash, Wadi Haddad and Nayef Qaddoura intimately. I watched Dr. Habash smoke his life away on Reem cigarettes just one office down from the one we used to translate his monographs into English. It was an ebullient time, just as it was in the United States. I was also in the “Aghwar” area of Jordan, specifically Kreima down from the then-famous Karama where, in 1967, the Palestinians took on the Zionist invaders when they crossed the Allenby Bridge and a legendary battle ensued giving the Palestinians their first claim to credibility by fighting off the army that stopped the Arabs in 1967 in the “Six Day War”. I knew over 100 fighters belonging to the PFLP, Popular Forces and Al-Fatah. None thought of Islam as the motivator for their battle with Israel. The air was rife at the time with discussions about dialectical materialism, Lenin vs. Mao, Trotsky vs. Stalin and a whole farrago of effete subjects which galvanized afternoon discussions at the AUB in Beirut. These ideological seances would prove a failure enveloping us all in the darkness of violent Islamism. The Sudanese student I mentioned above was named Uthman something. I can’t remember his family name although I’m sure it started with a G. But he was curiously early for the absorption of Islamist concepts, their beliefs still rejected by modernistic Arab students — beliefs which seemed almost antiquated, archaic, backward. No one mentioned people like Sayyed Qutb in the early Seventies. Richard Mitchell did, of course, in the aether of academe where implausible events could occupy some time during brown-baggers or cocktails at Richard Marash’s apartment. To me, the greatest of all Arab leaders. George Habash. A pediatrician from the AUB. A boy from Al-Lidd, Palestine. This picture was taken close to when he was allowed to escape a Syrian jail by order of Gen. Ahmad Suwaydani. I was there when he arrived in Amman. Between his fingers, the ever-lit Reem or Philadelphia cigarette. Uthman believed strongly that only Islam could deliver the Arabs to victory over Zionism and the West. Only through devotion to Allah could the fighter be imbued with the kind of zeal which would overpower the enemy and drive him from our lands. He viewed me as some kind of fanatical communist, which I was not, and tried to convince me that even my Christian beliefs (paltry as they were) were heretical, illogical and contrary to the needs of the “Umma” (the community). I found him amusing in the same way as Jehovah’s Witnesses, comfortable in the knowledge I could just walk away with a feigned “appointment”. What I realize now is that the Islamism of today had started in the Seventies with a process that eventually perfected the “programming” which was so important in developing the right profile for the “Mujahid” killer. There is nothing in the Qur’an which sets out the requirements for such a person. To the contrary, with the exception of some historically anchored exhortations to violence reflecting Muhammad’s disaffection from the Jews of Yathrib, the Holy Book of Muslims praises generosity, kindness, business-acumen, honesty and all the other traits people rarely exhibit or deliberately avoid. You need to go much deeper into Islam’s ancillary literature, far deeper than the Qur’an or the Prophet’s sayings (Hadith) to find the nuts and bolts of Islamist terrorism. You have to read the works of a fire-breathing, Syrian theologian, Ibn Taymiyya (1263 – 1328 C.E. ), to really know how this all started. Think of Ibn Taymiyya in the following way: replace the word “Mongol” with any other target of hostility. Ibn Taymiyya lived during the time of the Mamluke giant, Rukneddine Baybars Al-Bunduqdari, who defeated the hated Mongols at the battle of Ain Jalout. He exhorted all Muslims to kill the Mongols and developed Islamic-type concepts to make the war against them “holy”; this was “Jihad” against the virulent nomadic race from the belly of Asia which arrived in Baghdad, subjugated the City of Peace, wrapped the Caliph Al-Musta’sim in a rug, and rode cavalry horses over him snuffing the life out of the “Successor to the Messenger of Allah”. This was the age of Siege; Islam was targeted for annihilation; a new technology had to evolve. Additionally, think of Ibn Taymiyya as a follower of Ibn Hanbal who founded one of Sunni Islam’s schools of jurisprudence and theology. He is a forerunner of Wahhabism. Think of Ibn Taymiyya therefore as the angry face of Islam. “Jihad” in the Qur’an is overwhelmingly referent to: “struggle with your money and yourselves for the sake of God”. Jihad is from the tri-literal root: “j-h-d”. It means, in its most basic form, to “strive, struggle, exert effort”. A “mujahid” is one who “strives, struggles, exerts effort”. Simple. So how does it get converted into “Holy War” or “Crusade”? Amazingly, the word Crusade is perfect for Jihad. When George W. Bush was excoriated for using it in the Islamic context after 9/11 due to its conjuring up ugly memories of spaced-out Frankish knights arriving in medieval Palestine to kill Muslims and liberate Jerusalem, the word was astutely selected by a man who is anything but astute. Jihad is a crusade. In the Arabic context, you could translate “crusade against crime” as “Jihad against crime”. But, still, how does Jihad become Holy War? How do you train a Mujahid? How do you teach a person to welcome death? How do you convince a person that Paradise exists with a certainty that dispels all fears and anxieties? We will discuss these in Part Two. I now have have a laptop which I must get used to. I am leaving for the family dacha but will take the infernal machine with me. I hope it works. I look forward to more e-mails from my readers and all your comments. Auf Wiedersehen.